Christ draws us to Himself through beauty. 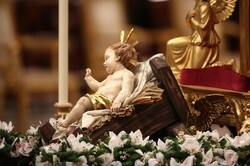 Beauty in the sacred Liturgy, in music, words, human gesture, the human body, indeed, through His own birth. Here the Pope tells us again that the birth of the Savior, the Incarnation of the Word, i.e., God, really happened in history; it is a fact, not a legend or a pious myth. The birth of Jesus is not “a just nice” story and it is normative for all of humanity, all of history. The following is Pope Benedict XVI’s homily given tonight at Saint Peter’s Basilica, Vatican City State, Rome. part of the coronation rite of the kings of Israel. which he grants a new existence to this man, drawing him into his own being. bearer of the promise of peace. child is truly born of God. Over 2 million views thus far. Happy Advent! How does the Vatican celebrate Christmas? 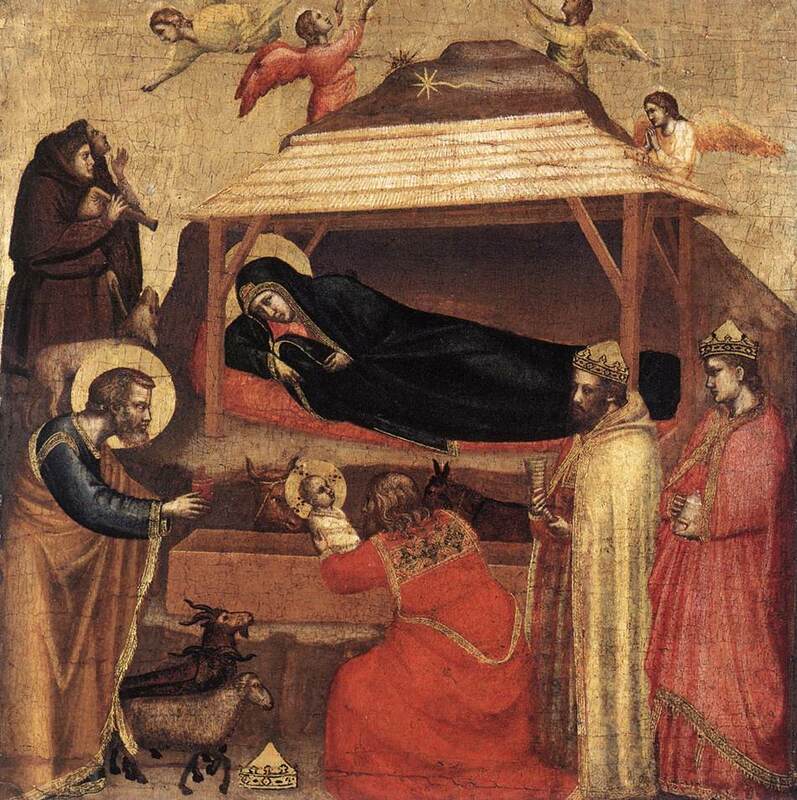 Edward Pentin, a National Catholic Register journalist and based in Rome, wrote a good article on Christmastide –Vatican style. We are in the middle of Advent and it’s time to think of Gaudete Sunday this coming weekend. Read Pentin’s article. My mother and the neighbors have had the Christmas tree up for a week. We’ve got three small trees. In fact, my neighborhood is alighted with Christmas lights. New York’s Rockefeller Center Christmas tree was lit last week with several stars entertaining us with “Christmas songs.” The Vatican put its Christmas tree, a gift from the good people of Bolzano, Italy (a German speaking of Italy where Pope Benedict has vacationed in the past) A little too early for my tastes. SO, it MUST be Christmas time!!! What does it all mean? But what does the Christmas tree stand for? 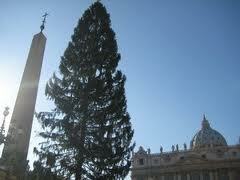 How ought the Christmas tree be interpreted by the Catholic? The Christmas tree began as a reminder of the tree of life and the life-giving cross of Jesus Christ. When you see the evergreen Christmas tree you will also see the life-giving tree of life on which Jesus hung as our crucified savior. For those interested, a short history is helpful. Lo, God in man is manifest! Sages from furthermost Orient stream to bow before His boundless power. Who is the King whom the prophets foretold should come to save both Jew and Gentile? Lo! He humbleth Himself from His throne of glory, taketh on Him the form of servant. He who is God before all ages now is born of the Virgin Mary. Gold and myrrh and fragrant incense. 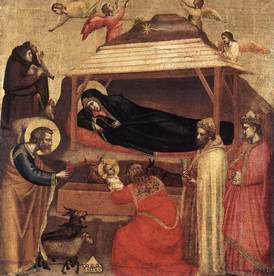 gold, His kingdom; myrrh, His passion. which to our Lord we fain would offer.